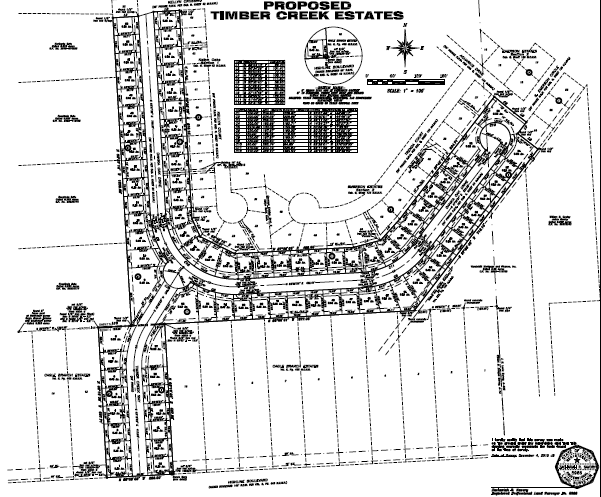 Texas Professional Surveying was engaged for subdivision platting of Timber Creek Estates in Montgomery County. The property had not been surveyed in 15 years, and it was uncertain whether there was a gap between the two original subdivisions. Additionally, the property had extensive monumentation, was not serviced by a sanitary sewer had existing underground pipeline on the premises. To overcome these obstacles, Texas Professional Surveying researched back to the original tract of land, as well as abstract tracts, to ensure there was no land gap between the original subdivisions and conducted extensive research for easements. We also pinpointed the existing pipeline and vertically located existing sanitary sewer manholes in the adjacent subdivisions. Extensive drafting was executed by skilled technicians, and the experienced field crew utilized GPS technology, among other tools, for vertical surveys. A topographic survey for road development was also conducted.